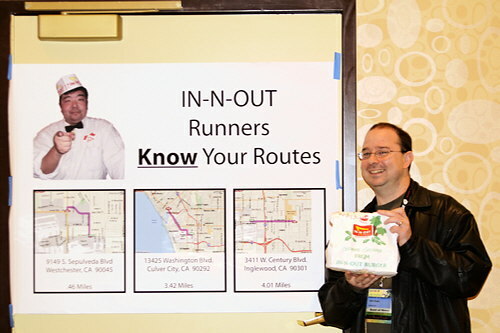 I mentioned that LosCon was committed to providing me In-N-Out Double-Doubles on demand, and look! Here’s the nerve center of the “Feed John Scalzi Tasty Burgers” effort. And look! There’s me with a Double-Double! It works! Bwa ha ha hah ha! Life is good. Having a fine time at LosCon so far, as you can see. Hope your weekend is similarly good.